The life of Tom Hammond, a well-to-do Londoner who runs a book shop, is thrown into a tailspin when his bag is stolen at the shop and he loses his most treasured possession, a photograph of him and his son Luke. The story is told in a cleverly fragmented non-linear style, as his memories merge with the present and as Tom must address the terrible incident in Scotland that impacted on his life. Read the german version of this review here. It took more than twenty years before Danny Huston stepped behind the camera once again. 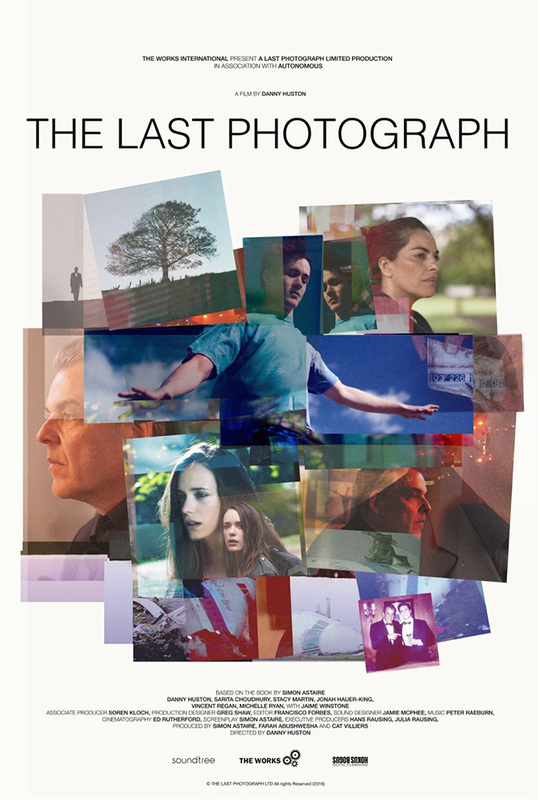 The result is The LAST PHOTOGRAPH, an impressive drama about the loss and the handling of it. A film that could hardly be more current. Huston, who also plays the lead role, succeeds in making the grief of his figure tangible. Although it is clear to the viewer, his actions and his abruptness provoke some completely different and unexpected association in the eyes of his fellow human beings. But the film shows us, how important it is, not to condemn people, as long as we don’t know their entire story. An extremely important message – especially these days. The story might be relatively simple, but the way it is implemented and its characters make it quite big. The subconscious fear of losing a loved one and our helplessness against such tragic events, Danny Huston captures perfectly with his film. In some way, Danny Huston and THE LAST PHOTOGRAPH also come close to a circle. In 1985 he was directing for the first time, filming the making-of of the film SANTA CLAUSE with Dudley Moore and John Lithgow. In his new film Huston has now re-used the same 16mm camera for the flashbacks with his son. THE LAST PHOTOGRAPH is a wonderful film by and with an impressive Danny Huston, which deserves to find a way to the german cinemas. I definitely root for it. At the Edinburgh International Film Festival I had the chance to talk to Danny Huston and Jonah Hauer-King, who plays his son in the movie about the film and some other things. A huge thank you goes out to the Filmhouse in Edinburgh for letting us use their Guild Cinema. The director, author and producer Vincent Biron presented his feature film debut PRANK at the Filmfest Hamburg 2016. I had the chance to sit down with him and talk about making a wonderful film without almost no money and a lot of other things.